The entire car-buying experience can be grueling. Not only do you have to zero in on a specific target, but you then have to dedicate hours to visiting a dealership and negotiating with the sales team. Fortunately, that shouldn’t be a concern much longer. 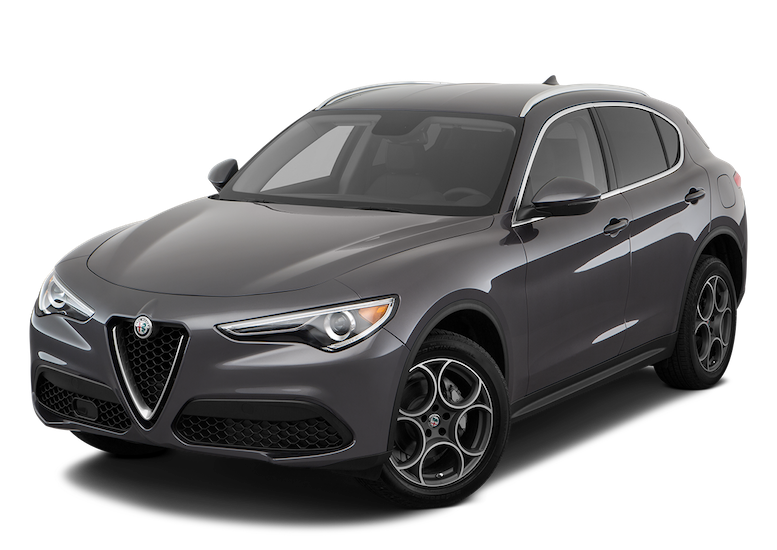 Alfa Romeo of Albany provides their customers with the best possible buying experience, offering these buyers an array of services and incentives. They are also housing the ideal target for those seeking a luxury SUV: the glamorous 2018 Alfa Romeo Stelvio. At the end of the day, you’re going to be spending the majority of your time inside the actual vehicle. Therefore, you’ll surely want your recently-purchased vehicle to be equipped with a number of amenities that can improve the entire driving experience. Fortunately, the 2018 Alfa Romeo Stelvio delivers, as drivers will have access to a host of notable functions. It starts with the 6.5-inch widescreen color display, which provides easy access to an assortment of applications. The vehicle also includes the seven-inch TFT Cluster with Dynamic Display, which will showcase important information right in front of the driver. This means whoever is operating the vehicle won’t have to strain their neck in order to access these details. Perhaps best of all, the vehicle also delivers a whole lot of cargo space. The 18.5-cubic-feet of space is commendable, but drivers can unlock up to 56.5-cubic-feet of space when the rear seats are hidden. Plus, thanks to the inclusion of the 40/20/40 split fold-down rear seats, owners will never have issues fitting a combination of cargo and passengers. If you’re looking for optimal flexibility, then the Alfa Romeo Stelvio is clearly the optimal choice. If you’re traveling in a vehicle that is that powerful, you’ll surely want the car to be equipped with functions that will keep you and your occupants secure and protected. Well, that won’t be a concern when it comes to the 2018 Alfa Romeo Stelvio, as the vehicle includes a number of notable safety functions that will keep each occupant safe and secure. Functions like the standard backup camera with the accompanying rear park sensors are notable inclusions, as they’ll reduce pesky fender benders. Meanwhile, the Integrated Brake System will be important in any driving scenario. The system provides drivers with optimal stoppage power, which could be instrumental when traveling on the highway. Drivers can also opt for the Forward Collision Warning-Plus, which will notify the driver via audible and visual cues when a collision is imminent. If the driver doesn’t respond, the vehicle can automatically apply the brakes to lessen or prevent impact. The brand also offers the available Adaptive Cruise Control and Blind Spot Detection system, which can also play significant roles in helping drivers avoid accidents altogether. While the 2018 Alfa Romeo Stelvio is known for its opulence, the nameplate should also be lauded for its performance prowess. After all, the accompanying 2.0-liter Direct-Injection I4 Intercooled Turbo Engine is one of the most impressive offerings in the entire class. Attached to an intuitive eight-speed automatic transmission, drivers can ultimately anticipate 280 horsepower and 306 pound-feet of torque from the system. This obviously has a positive influence on performance specs, as drivers can also anticipate an impressive top speed of 144 miles per hour. Of course, to help accommodate all of this power, the brand also included a number of mechanical amenities that will influence the driving experience. For instance, the Alfa DNA Drive Mode Selector System will reconfigure your vehicle’s mechanics to accommodate the impending road conditions. Specifically, drivers can choose from Dynamic, Natural, or Advanced Efficiency mode, providing them with the control and handling they’re seeking. Inclusions like the Q4 All-Wheel Drive System and the Chassis Domain Control will provide a similar role, allowing the driver to always have the optimal handle on their powerful ride.